West End targets undervalued multifamily and commercial real estate investments located in Mid-Atlantic submarkets that exhibit strong supply and demand fundamentals. Size Typical investments are under $20 million in value allowing us to avoid institutional competition. Product Type Multifamily, office, medical office, retail, and flex/industrial. Geography Our primary focus is Washington, D.C., Northern VA, and Suburban MD (as well as nearby cities such as Baltimore, Annapolis, and Richmond). 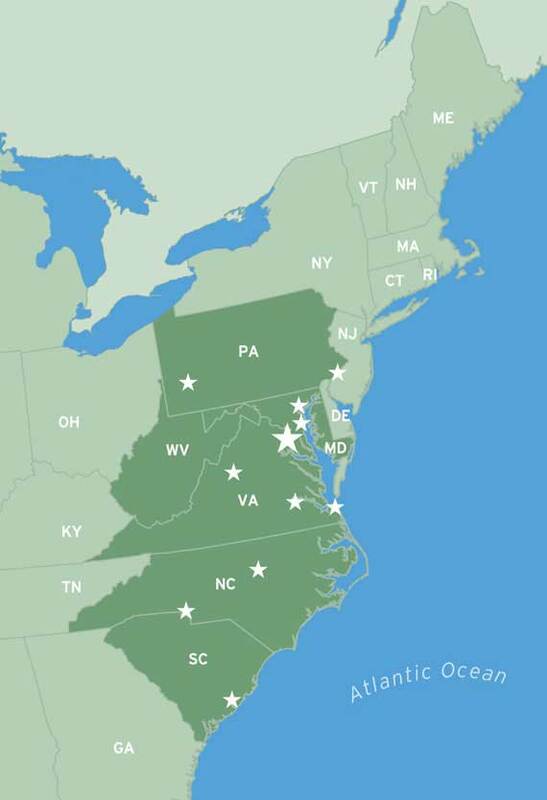 We also target opportunities on a case-by-case basis throughout the rest of the Mid-Atlantic region (PA through the SC). Locational Attributes Submarkets with strong local demand drivers, such as employment and transportation hubs, that are also aided by favorable macro drivers, such as population, employment, and income growth. We also target supply-constrained submarkets with high natural barriers to entry. In these markets, we look for in-fill locations in the path of growth, which may be future candidates for redevelopment, while providing current income in the interim. Income Profile Our target properties typically generate stable, in-place cash flow, offer opportunities to directly add value at the property level, and possess long-term upside potential.